Merz offers a diversified range of high quality low-voltage switches. This includes enclosed and open cam switches and compact disconnect switches for both DC and AC current. Merz draws on over 70 years of switch know-how to satisfy its customers and give them the confidence in the safety and reliability of the switches they produce. Their clients include a global market place in engineering, HVAC, underground mining, food machinery and elevator, escalator and people mover systems. More recent additions of DC switches have launched Merz into leading the way in the solar power industry. The partnership with Springer Controls allows for common parts to be stocked in the USA for quick shipment and the ability to provide customized solutions assembled in right here in America. 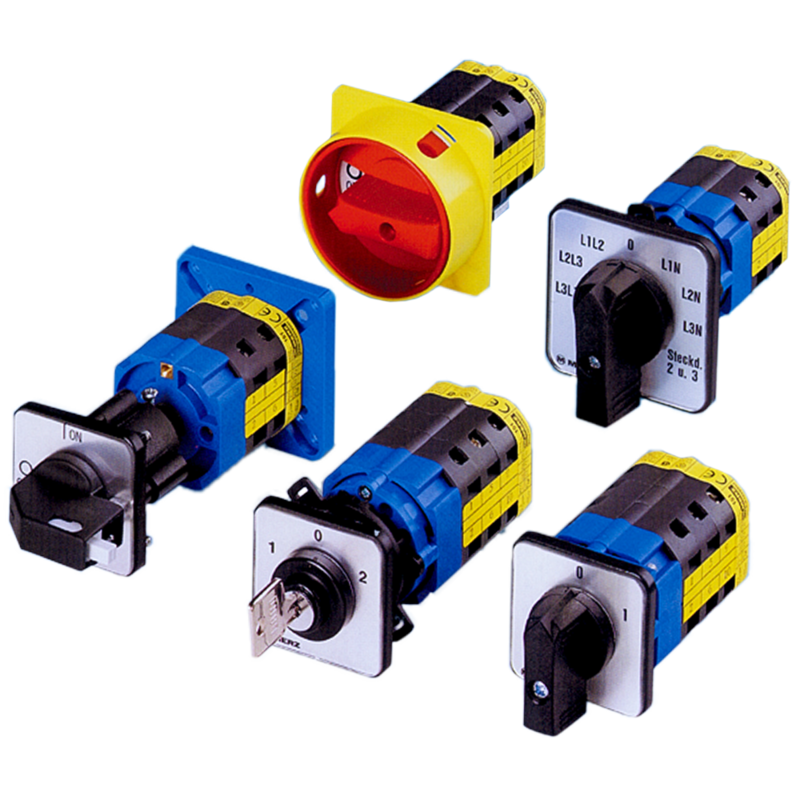 Disconnect switches come in a variety of sizes and styles depending on the current (amp) requirements and the preferred style. 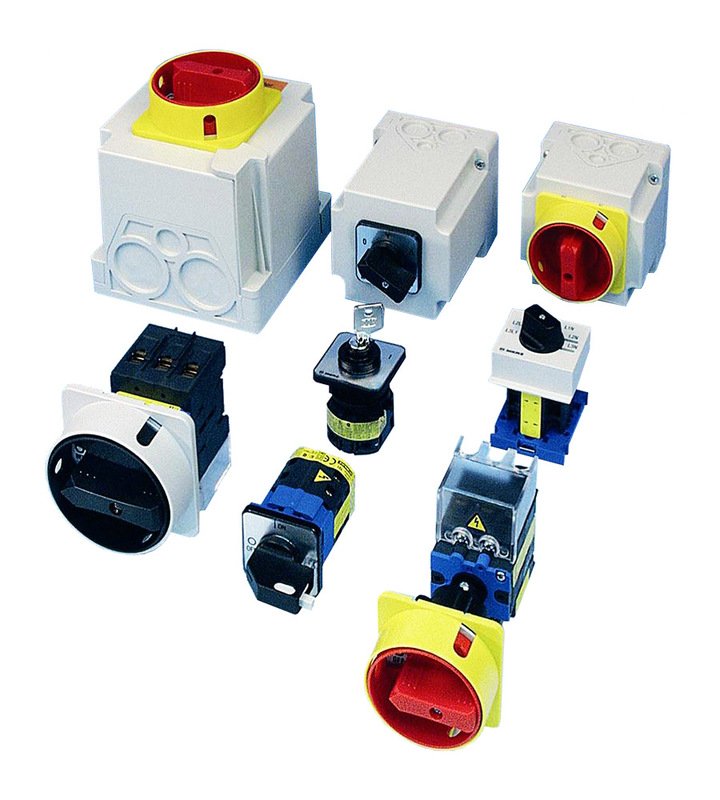 From a simple on/off switch, to safety switches suitable for lockout/tagout requirements, Merz has the disconnect switch to meet your requirements in both AC and DC applications. Cam switches have a series of contacts mounted to a shaft that simultaneously open and close depending on the configuration, allowing multiple operations to be performed with a single switch. Common examples are changeover switches and reversing switches.